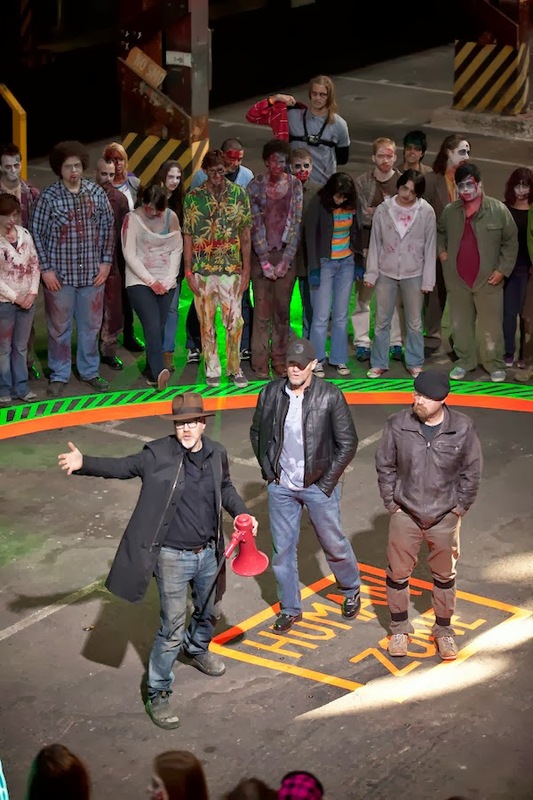 An exclusive over at TVline.com has revealed that the Discovery Channel series “Mythbusters” will air their special zombie episode this October 17 at 10 p.m. ET. They also provided a very cool pic containing not only zombies but special guests. We reported on this episode all the way back in January and are thrilled we finally have a date. The episode should prove to be quite informative and will include an appearance by “The Walking Dead” cast member, Michael Rooker (we miss you already, Merle) and executive producer, Greg Nicotero. According to TVline, “...the Oct. 17 installment will take on the kind of zombie-apocalyptic queries Rick’s gang often encounters. These include: 'Are axes or guns more effective at dispatching the undead?' and 'How do those shuffling corpses always seem to catch up to their living prey?'" What other zombie myths do you hope the gang tackles?